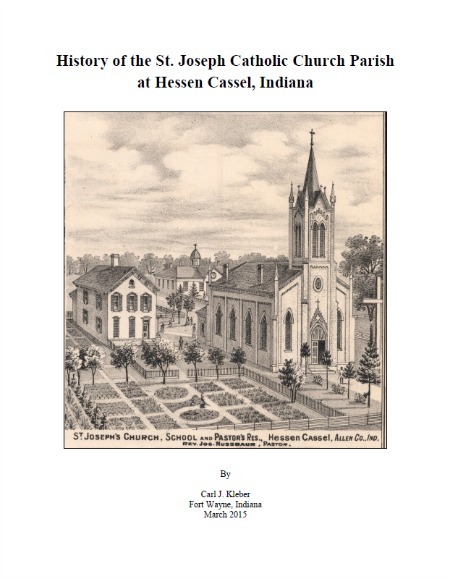 Attached is a draft copy of the “History of the St. Joseph Catholic Church Parish at Hessen Cassel, Indiana” written by Carl Kleber. The book details the history of the St. Joseph Catholic Church Parish from the first immigrants in the early 1830s to the present time. The history is presently in draft version. In the foreseeable future, it will be published. Please review it and contact Carl Kleber or John Schreiber at [email protected] with any suggestions or comments concerning the historical content. Prior to publishing, sufficient notice will be given to parishioners, so that anybody wanting a published copy will have an opportunity to obtain one.